The Boring Station Trailhead Park now has a new crown jewel. 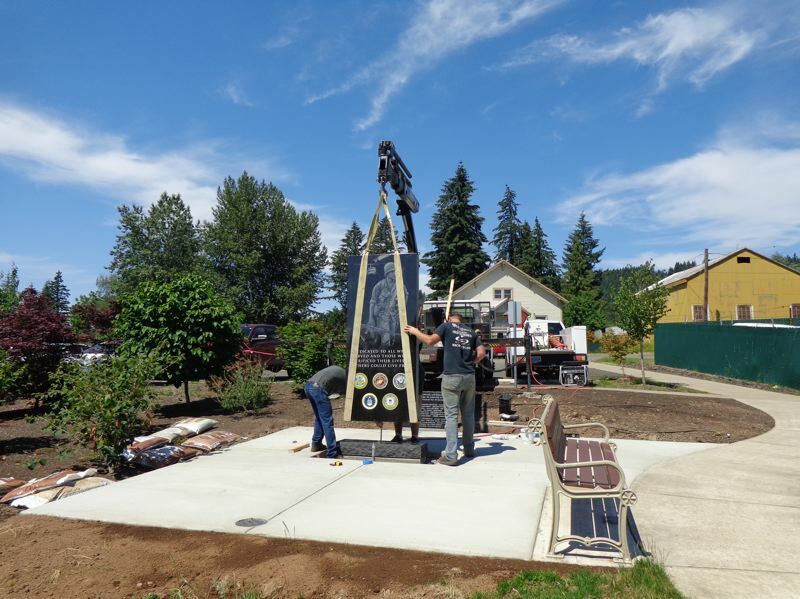 The long-awaited Boring, Oregon Vietnam Memorial was recently erected in the south end of the park to commemorate the 41 men from Clackamas County who fought and died for their country in the Vietnam War. "The Vietnam War was my generation's war," Steve Bates, Boring resident and chair of the Committee on Memorials and Remembrance, told The Post in an interview last year. Though he did not fight in Vietnam, he wants to commemorate those who did. "I experienced the American dream. I feel a debt since they gave up their American dream so I could have mine." Now that the stone is up, the next step is to have dusk-to-dawn lighting installed, which Christensen Electric will complete this week. "We are grateful for the support of the Friends of the Boring Station Trailhead Park and Clackamas County Parks," Bates noted. "We especially are thankful for the assistance provided by the Boring, Oregon Foundation. A project that has been three years in the making is finally coming to completion." Members of the Committee on Memorials and Remembrance will present alongside members of the Vietnam Veterans of America, Veterans of Foreign Wars and other elected officials and representatives from area military organizations. Ron Reudi, resident Boring rock 'n roller and Vietnam veteran, will provide music for the event. 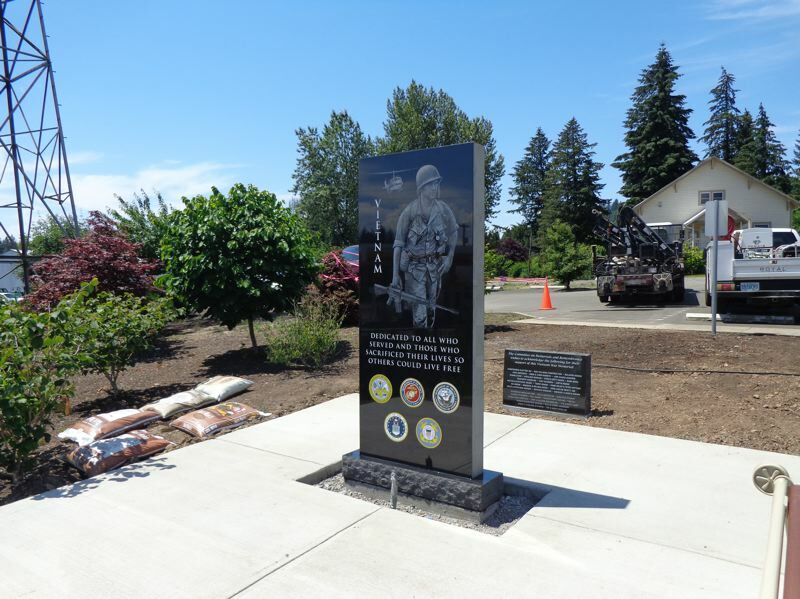 The memorial stones were provided and installed by OM Stone of Hillsboro. For more information, call Steve Bates at 503-663-6271.